Blogs and social networks have grown in importance as marketing platforms, as the audiences they are able to aggreagte have grown. Technorati is now tracking over 100 million blogs and comScore reports that social networks MySpace and Facebooknow have 68 million and 30 million members, respectively. For authors, they are becoming essential readership building and book marketing tools. We recently spoke with Beth Whitman, a popular travel writer, who is using blogs and social networks to help create and market her titles. Beth Whitman is a self-described “travel addict” and has been a solo traveler for 20 years. She wrote her first book, Wanderlust and Lipstick: The Essential Guide for Women Traveling Solo in order to encourage and inspire other women to travel independently. She is the publisher of www.WanderlustAndLipstick.com and the travel blogger for the Seattle Post Intelligencer. 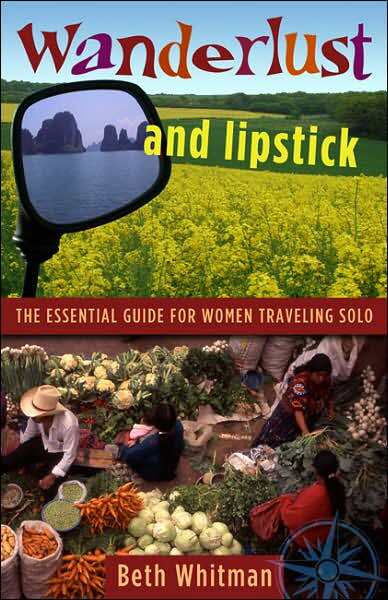 Beth has two books scheduled to be released in 2008: Wanderlust and Lipstick: For Women Traveling to India and Wanderlust and Lipstick: For Women Traveling with Children. FPP – Your book focuses on tips for women traveling alone. Is this a relatively new area of travel writing? Beth – It’s definitely not a new area of travel writing but it’s a growing category, for sure. There have been a few books out on the subject for a number of years but there seems to have been an explosion of interest in the topic during the last year or so. FPP– How did you become interested in blogging? Beth– I knew that I needed an online presence in order to build up my audience. By happenstance I landed a writing gig with the Seattle Post Intelligenceras their travel blogger and started blogging on my own site about six months prior to the release of my book. FPP– How much of your content from your blog did you use in writing your book? Beth – Not a lot for my solo book as a lot of the writing for the book had been done when I started blogging. However, I’m working on another book, For Women Traveling to Indiaand will be repurposing a lot of the content for both book and blog. In retrospect I should have done more of that for the original Solo book but didn’t. FPP– What challenges did you have in converting blog content to book content? Beth – I think the challenge is breaking down all the info from the book down into bite sized chunks that will hold a reader’s attention on a website. It’s got to be snappy and usually in bullet form so that can scroll through quickly. FPP– What role does your blog play in marketing your book? Beth– It plays a pretty big part. I am constantly working on building my community through my blog, newsletter and through social networking sites where I place links to my blog. So far, I’ve driven traffic to my website and sold books through this online marketing campaign. FPP – What role have social networks played in your book marketing campaign? Beth – It’s becoming more and more significant as I learn the ropes. There are a lot of things to figure out and it takes time to build up your network. I’m just now starting to see it pay off and hope to have a good holiday season as a result! FPP – How do you allocate your marketing effort between web based and traditional methods? Beth – While I do market offline (I’m in the middle of a book tour right now), I spend more time marketing online. While both methods are time consuming, I’m starting to see the advantages of online marketing campaigns and social networking sites (especially since I don’t have to pay travel expenses for those methods!). I connect with other bloggers and other individuals with like interests (in my case, travel). I think that down the road I’m going to see far more traffic going to my site and more people buying my book because of the online marketing that I’m doing. It’s just a matter of being focused on it, which, honestly, most authors aren’t. FPP– What’s ahead for your writing and your blog, Wanderlust and Lipstick? Beth– I’m working on books number 2 and 3 right now and continue to blog a few times a week on the Seattle Post Intelligencer site and my own site. I’m working on a book for women traveling to India and another for women traveling with children in which I’m collaborating with two co-authors. This time I will take a more thoughtful approach at adding content to my blogs that will be included in the book so that I can build up my audience prior to the book’s release in the spring of 2008. This entry was posted in blog to book, blogs & writers, Interviews, readership strategies and tagged Beth Whitman, blogging, social network marketing, Wanderlust and Lipstick. Bookmark the permalink. Hi! Just thought I’d leave a comment. I really was impressed by your opinion. Keep up the outstanding effort. I really enjoyed your post and learned a lot from it, keep writing!! !